Globally, salamanders encompass approximately 500 species of amphibians. They typically have slender bodies, short legs, and long tails. Usually found in moist or arid habitats in the northern hemisphere, most salamanders are small, although two species reach up to 5 feet in length. Salamanders are carnivorous and typically feed on earthworms, small slugs, a variety of terrestrial arthropods, including sowbugs and millipedes, and insects including collembolans, aphids, caterpillars, small beetles, beetle larvae and ants. In dry weather, they retreat underground and after rains, they emerge and become active on the surface. Surveys have confirmed the presence of two species of small salamander in the Baldwin Hills. In the most recent survey, Black-bellied Slender Salamanders were the most commonly observed, with 58 observations in the Kenneth Hahn State Recreation Area. 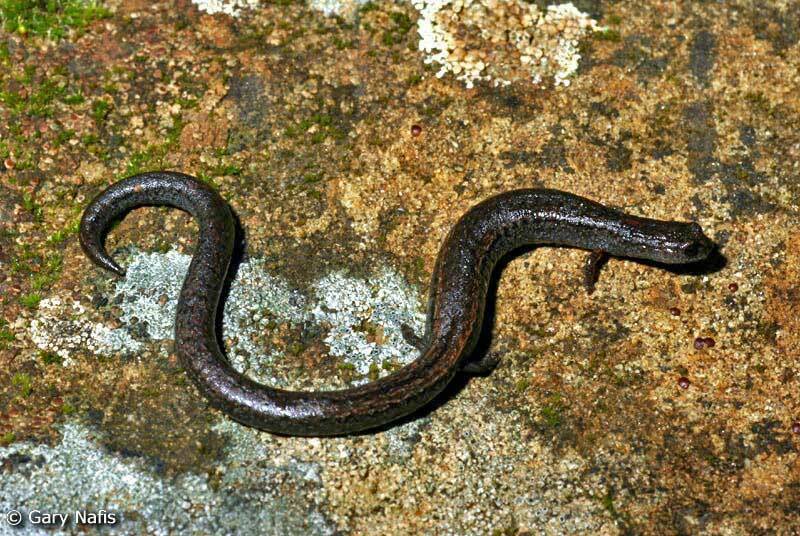 At the time of the 1970s survey, Black-bellied Slender Salamanders were not yet recognized as a distinct species, so it’s likely that the Garden Slender Salamanders observed in the 1970s survey were actually Black-bellied Slender Salamanders. No salamanders were observed in the 2000 survey. 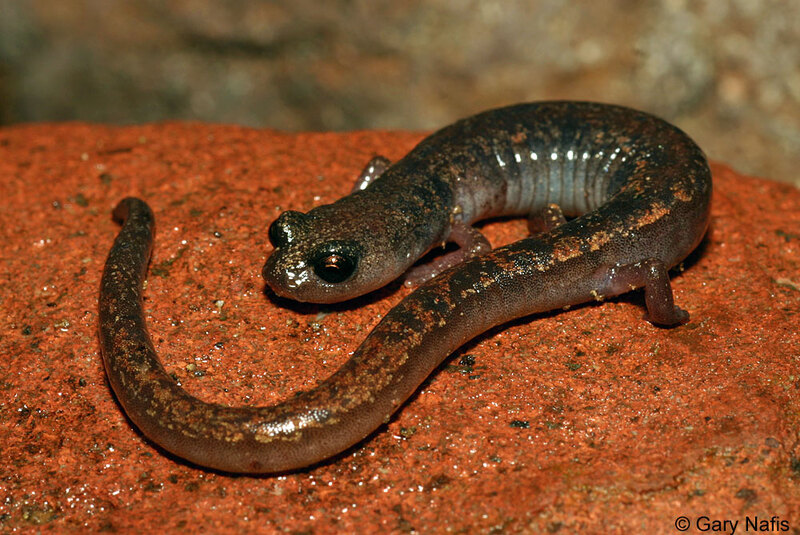 Black-bellied Slender Salamanders are endemic to California and live in a wide range of habitats, such as oak woodlands and higher elevation pine forests. They are found in damper areas, under rocks, logs, bark and fallen leaves. Black-bellied Slender Salamanders can be difficult to distinguish from the Garden Slender Salamander, but generally the Black-bellied Slender Salamanders have a thinner body and may have a lighter colored dorsal stripe. Both species show a wide range of body coloring. During the most recent survey in the Baldwin Hills, only 1 Garden Slender Salamander was observed, but according to historical museum specimens, these salamanders have lived along the Ballona Creek and in the flats around Baldwin Hills. Garden Slender Salamanders prefer the same damper areas as the Black-bellied Slender Salamanders, but have a slightly wider body with a lighter gray belly. Visit our iNaturalist guide for a full list of observed reptiles and amphibians in the Baldwin Hills. Herpetofaunal Surveys of the Baldwin Hills – Gregory B. Pauly, Stevie Kennedy-Gold, Jennifer McKenzie, and Bennett Hardy (2016).